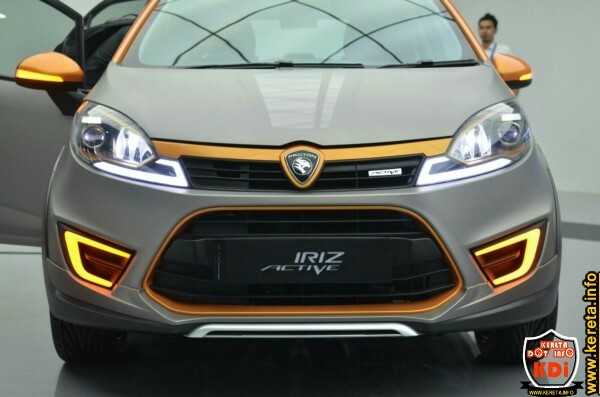 New proton Iriz custom body works unveiled with extra make over on the exterior and interior trim. 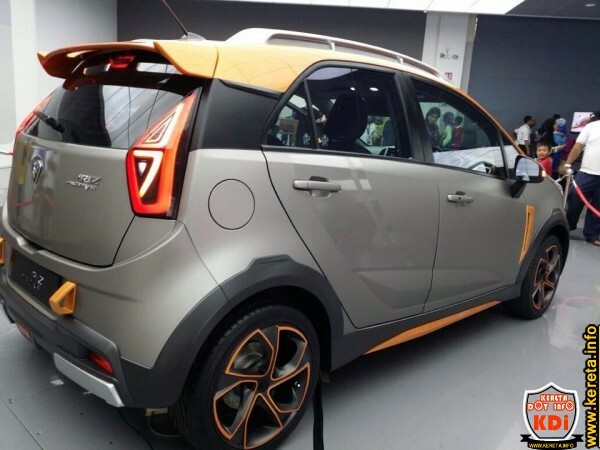 This modification done by Proton and known as the concept car of their upcominh crossover or mini SUV based from the Iriz chasis. 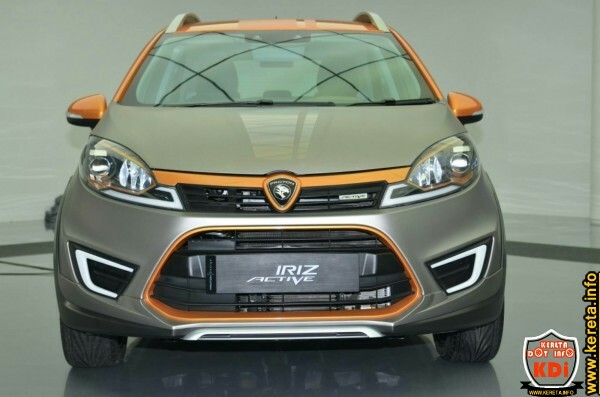 View more of the images of exterior and interior modification of Iriz concept car. 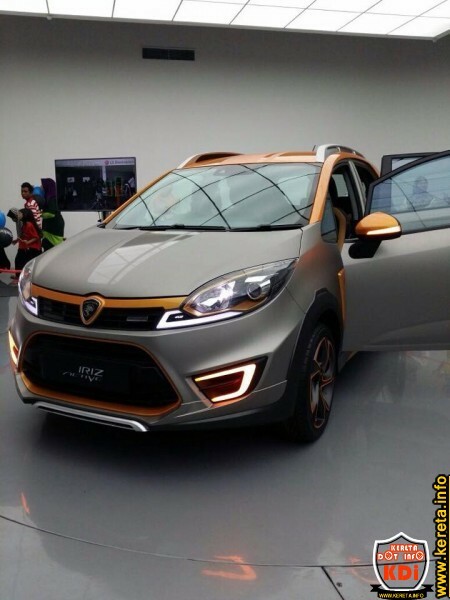 Proton Iriz SUV concept rear and side view. Iriz front bumper and projector headlamp. Iriz rear passenger interior and door trim. Iriz concept with LED daylight inside the headlamp and the ccfl light bar in yellow for side mirror and front bumper signal indicator. 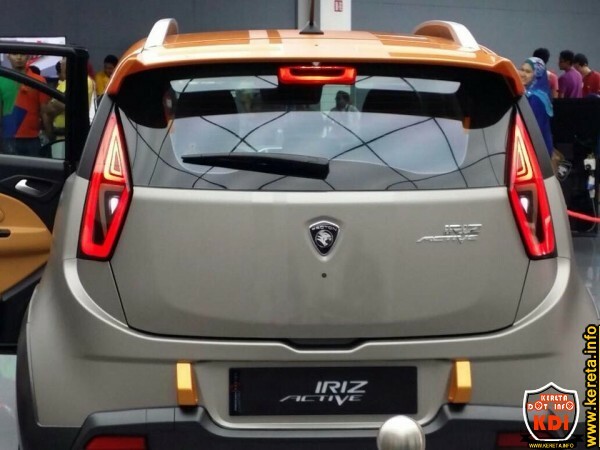 Rear active looks of Iriz. Interior dashboard of Iriz Active combined with center large touch screen multimedia player, leather wrapped steering in orange and door trim also in orange. Rear led ccfl light bar tail lamp like bmw and audi style. Looks great for front and left/right side of car. good choice of color and shape……BUT shouldn’t include that ladder on top of the car, reduce the sport look of it very much…also should work on rear side, the rear shape looks not nice imo, quite flat. The rest good. Jz sharing my opinion. If only the actual production car were to look like this. Then I can boldly say that Proton will be able to move forward. Ah, and not to forget, pricing below RM100k for something as good as this, and the people will be rushing to get their hands on this beast. Add on a 1.8L Turbocharged engine with 6-Speed sequential shift transmission…I can assure you, this car will be a beast.